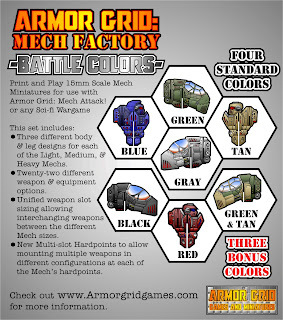 Armor Grid Games and Miniatures: Armor Grid: Mech Factory - Battle Colors Now Available! 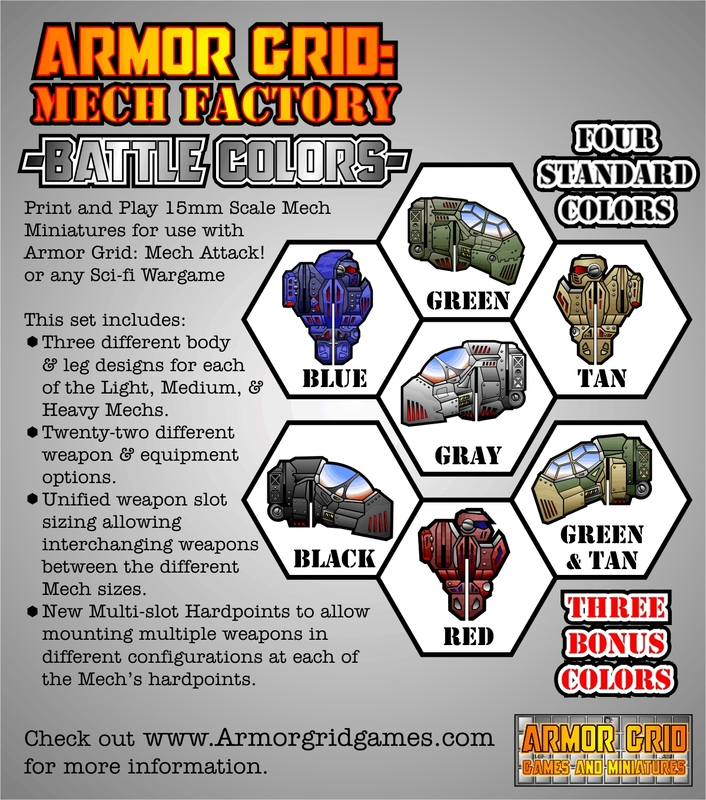 Armor Grid: Mech Factory - Battle Colors Now Available! 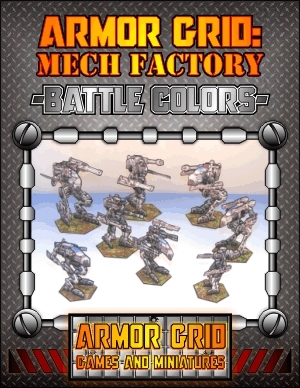 Armor Grid: Mech Factory - Battle Colors is now available! 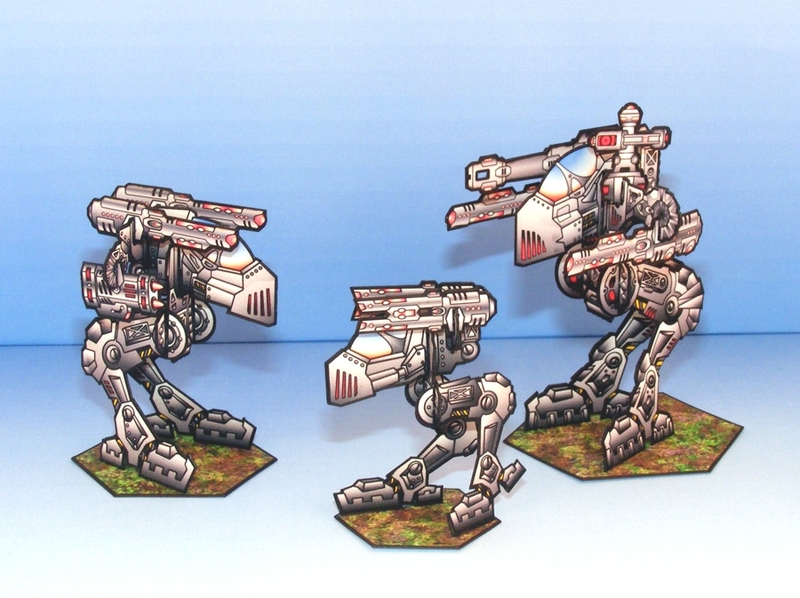 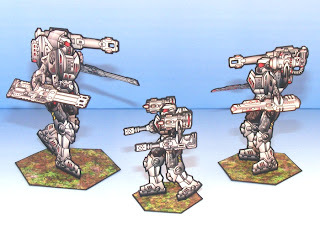 Print and Play 15mm Scale Mech Miniatures for use with Armor Grid: Mech Attack! 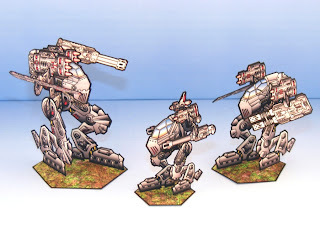 or any Sci-fi Wargame. 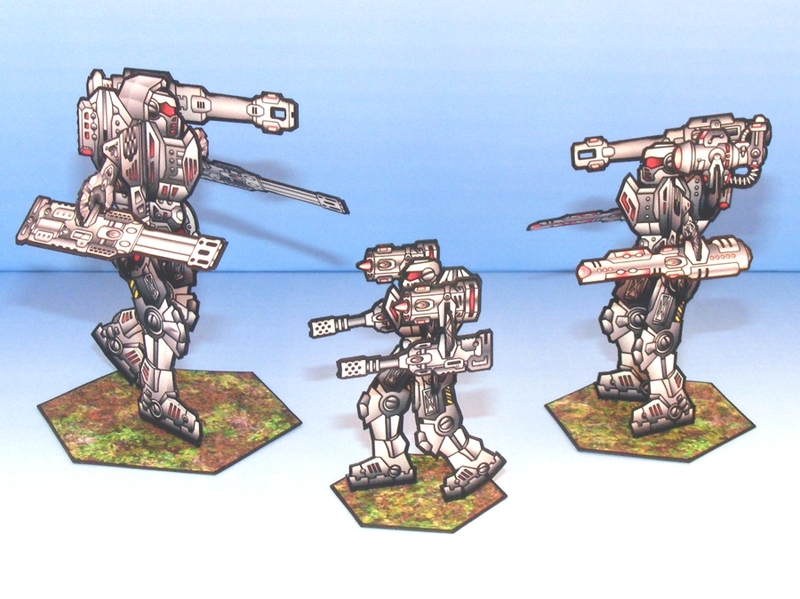 All Armor Grid Miniatures are rendered in 300dpi for high quality printing. Designed with complete front and back images to more closely represent more traditional gaming miniatures, these miniatures are provided with easy to follow directions and multiple basing options. Armor Grid: Mech Factory - Battle Colors is available from WargameVault.com for $4.95US.